We are a mainstream club with two Plus tips and a Round between tips. We have a nice wood floor to dance on! We enjoy refreshments during the dance. 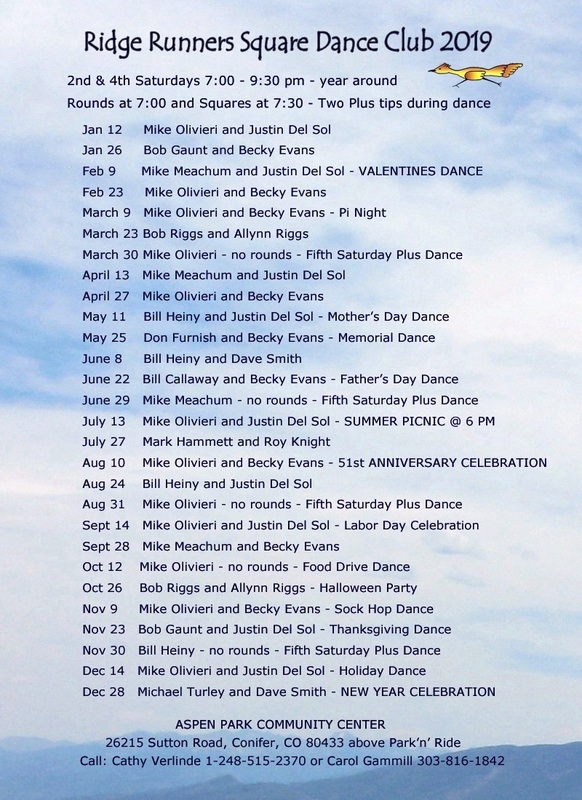 Every fifth Saturday is our all PLUS Dance! Come enjoy the fresh mountain air! We like to laugh a lot you will have a good time!